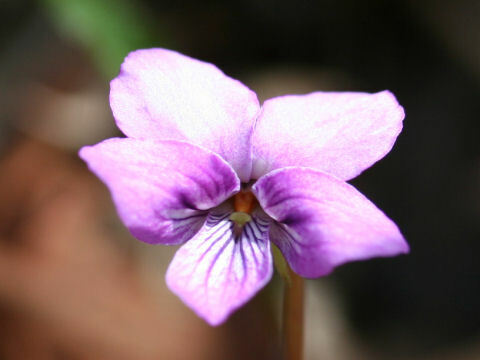 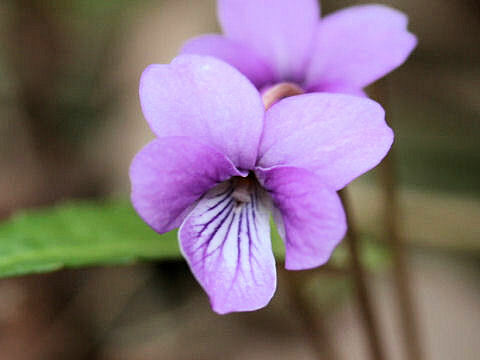 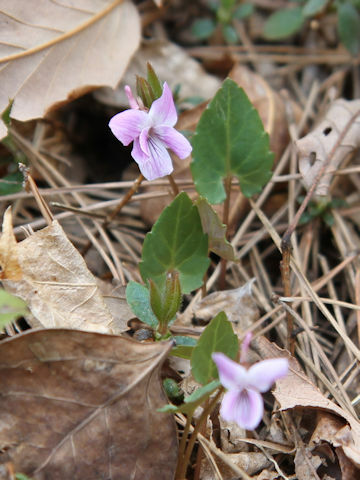 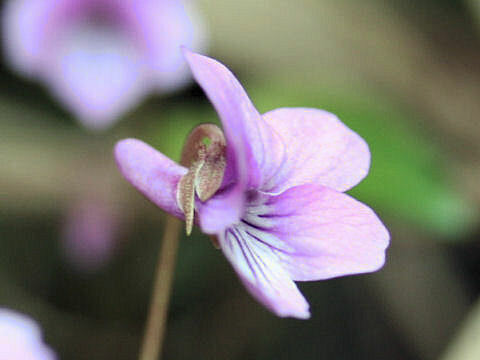 "Shihai-sumire" (Viola violacea) belongs to the Violaceae (the Viola family). 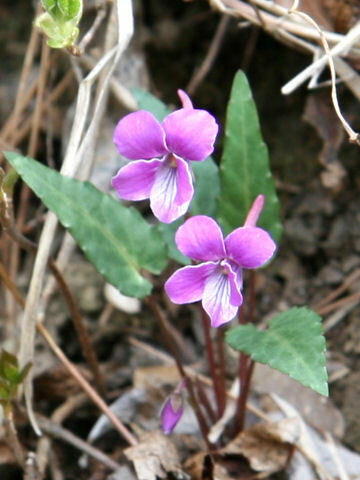 It is a perennial herb that is native from Honshu to Shikoku, Kyushu of Japan. 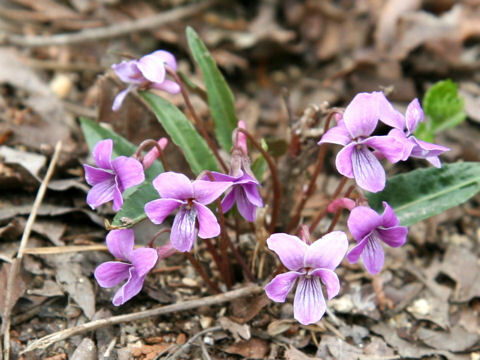 This herb grows in montane forests, slopes and can reach 3-8 cm in height. 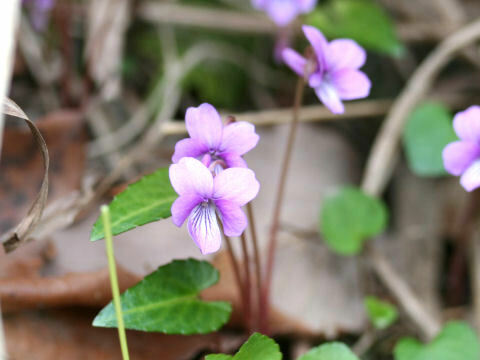 The leaves are long-ovate to lanceolate with cordate bases. 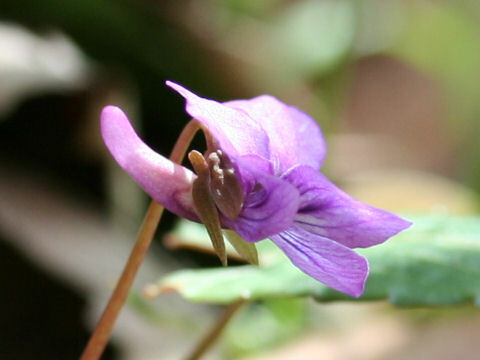 The reverse sides of leaves are burgundy red. 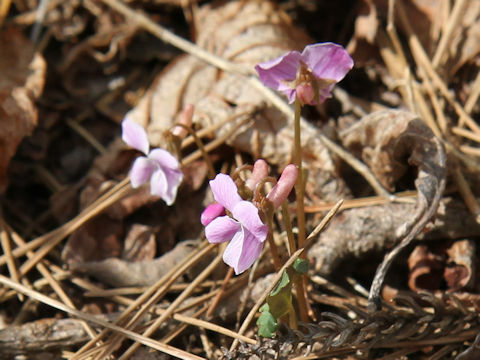 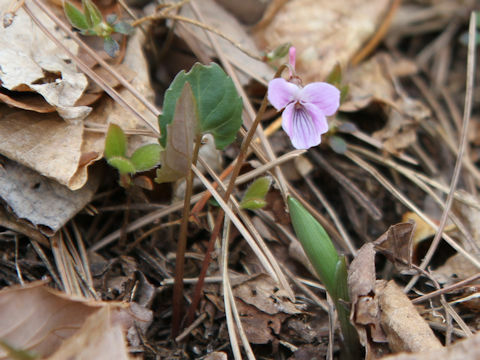 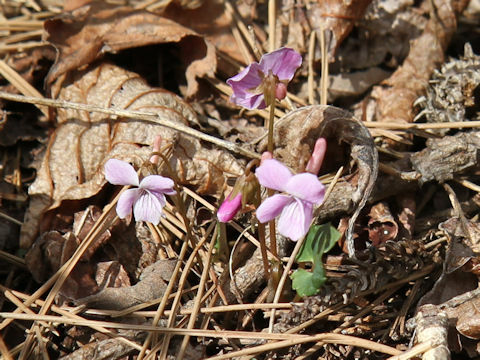 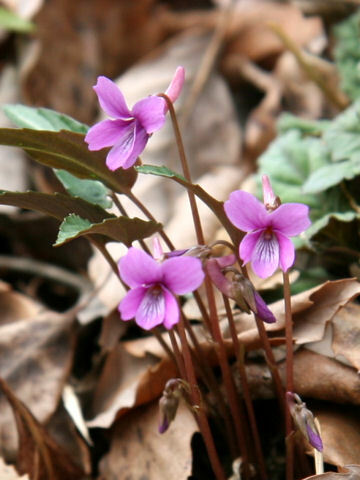 The pale magenta to deep magenta flowers come on the stalks in March to May.